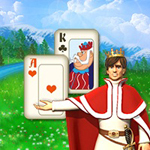 Description: Bridge card is an 2d flash game who can be played only online on pc or notebook.Play with no download and no registration bridge online. 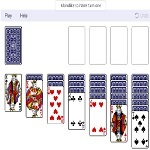 Instruction: The object of the game is to score points by winning hands (called tricks) during the play. The team that wins the best of three games wins. When you bid, you are stating the number of tricks you think your team can win if a specific suit is trump. A bid includes a number (1-7) plus a suit. The team that has the final bid must make that number of tricks + 6. 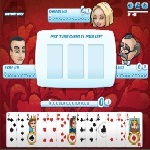 Each time it is a player’s turn to bid they may make a bid or pass. If a player’s opponent has made the most recent bid, they may double the bid. Either opponent can then redouble the bid. 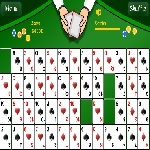 If the player doubling wins and makes the contract, they are awarded double the points. The auction ends when 3 players in a row pass. The player that makes the last bid is called the declarer. 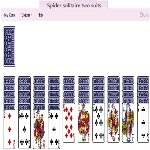 The player to the declarer’s left chooses the card to lead the first trick. This is called the opening lead. Once that is made, the dummy hand (the declarer’s partner) is placed on the table and is now to be played by the declarer.